A report released this morning by the National Association of Realtors showed that total existing home sales in America, which account for a much larger portion of the overall U.S. housing market than new home sales, fell by 2.5 percent in April to a seasonally adjusted annual rate of 5.46 million units. That was the first monthly decline since January and much worse than expected. Most of the weakness occurred in the single-family housing segment, although sales in the upper-end of the market remained solid. 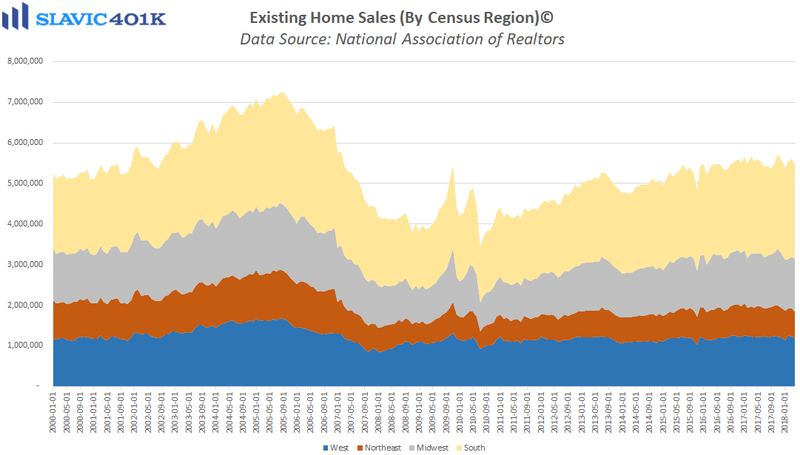 Regionally, existing home sales were unchanged in the Midwest last month and fell in the West (-3.3 percent), the South (-2.9 percent), and the Northeast (-4.4 percent). 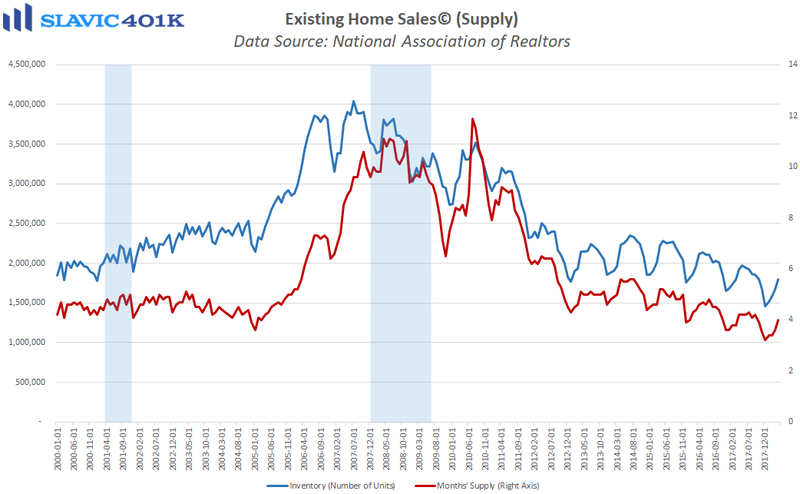 Total housing inventory jumped 9.8 percent in April to 1.80 million existing homes available for sale, although that is still 6.3 percent lower compared to a year ago. 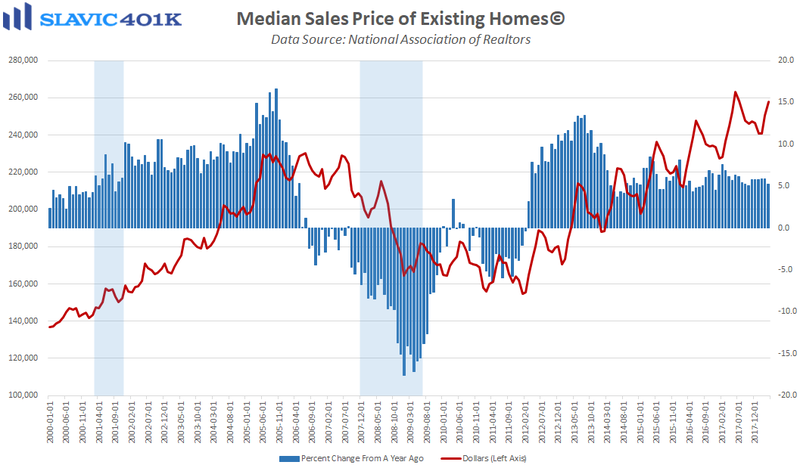 Further, the median selling price was $257,900 in April, up 5.3 percent over the past year and therefore the 74th consecutive month of annual growth. 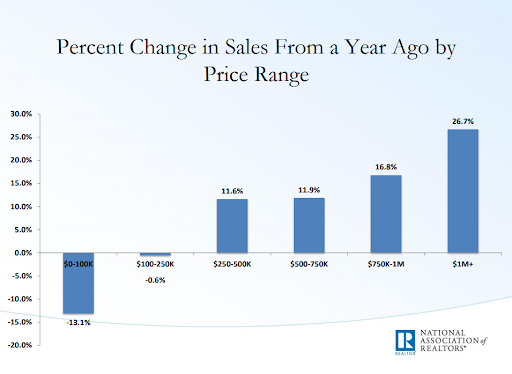 Lawrence Yun, NAR’s chief economist, added that “The root cause of the underperforming sales activity in much of the country so far this year continues to be the utter lack of available listings on the market to meet the strong demand for buying a home. Realtors say the healthy economy and job market are keeping buyers in the market for now even as they face rising mortgage rates. 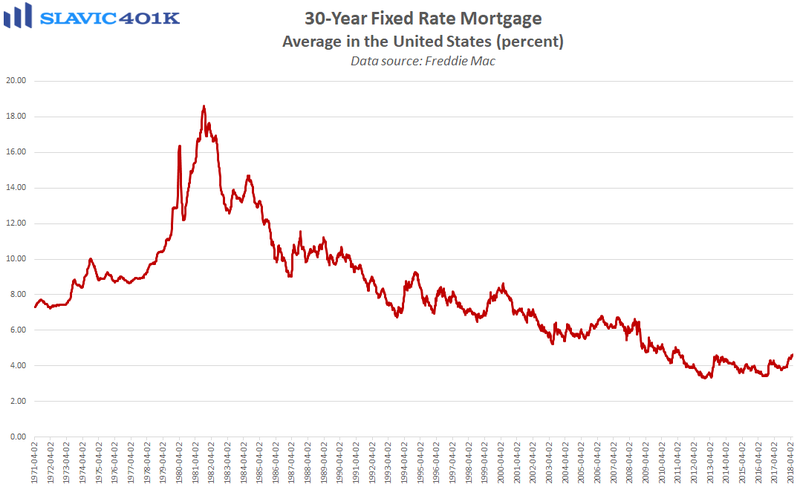 However, inventory shortages are even worse than in recent years, and home prices keep climbing above what many home shoppers are able to afford.” Related, the 30-year fixed mortgage rate rose this week to an average of 4.66 percent, the highest reading since May 2011. 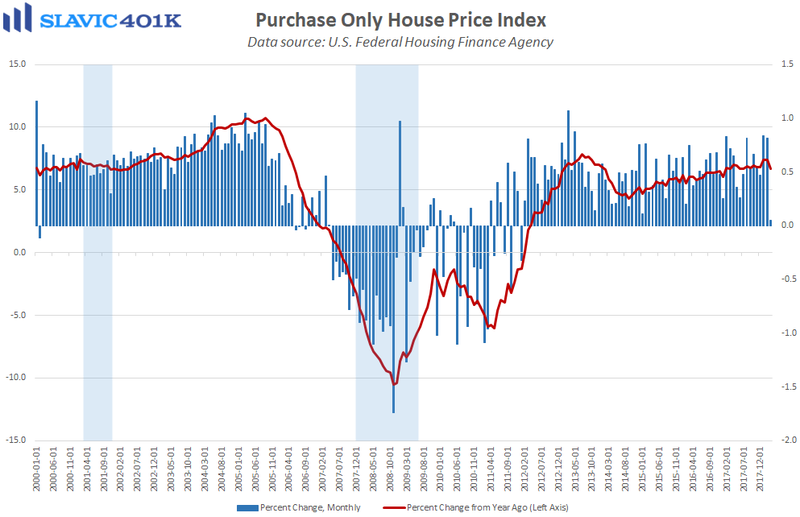 Elsewhere, the Federal Housing Finance Agency’s (FHFA’s) national home price index (HPI) rose by 0.1 percent in March (lagged release), the smallest monthly gain since January 2012 and well below economists’ forecasts. Despite the recent slowdown, the HPI has still risen for 74 months in a row, and home prices have increased in all 50 states and the District of Columbia between the first quarter of 2017 and Q1 2018, according to the FHFA. The top five regions in terms of annual price appreciation are Nevada (+13.7 percent), Washington (+13.1 percent), Idaho (+11.1 percent), Colorado (+10.6 percent), and Utah (+9.9 percent). 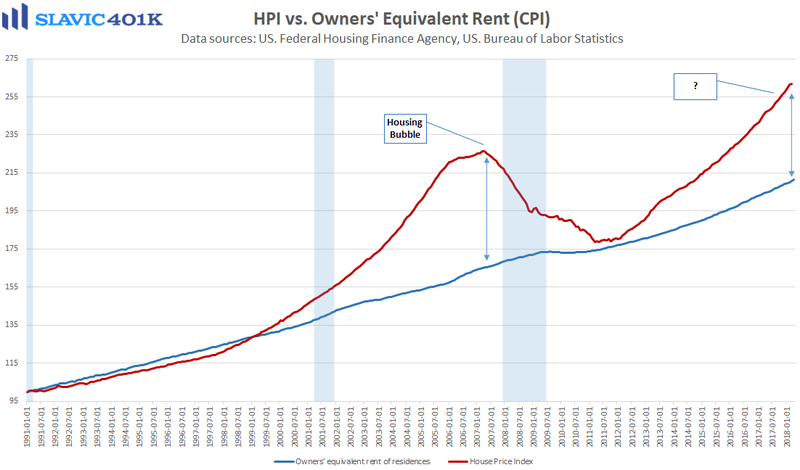 Some economists also like to compare the HPI to the owners' equivalent rent section of the monthly consumer price index (CPI) report from the U.S. Bureau of Labor Statistics to help spot price bubbles. 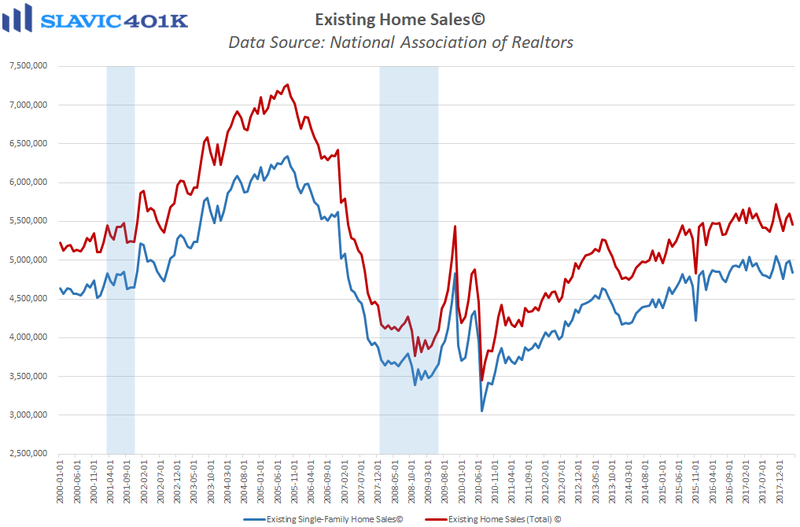 As the second chart below shows, home values have increased significantly in recent years but remain below the extremes seen prior to the last recession.